Wu Ming-Yi, the Taiwanese author of The Man With The Compound Eyes, sets out to prove that these days the truth is stranger than fiction. He pulls from his background as an environmental activist to describes a world facing environmental disaster. A disaster that resembles current events so closely that readers don’t need to expend their imagination to buy into the premise. The events of Ming-Yi’s novel could become our reality within a decade and few would bat an eye. Alice, the main protagonist, is a professor of literature in Taiwan. She lives alone. Her husband Tom and son Toto are presumed dead, having disappeared while on a climbing trip in the nearby forest. Climate change and rising sea levels will soon make the small house she and Tom built on the beach uninhabitable. Most of her neighbors have already moved to higher ground but Alice refuses to leave her memories. Engulfed by grief and surrounded by the encroaching ocean, she is preparing to commit suicide in the opening pages. Atile’i lives on the island of Wayo-Wayo (the book’s jacket copy refers to it as a “mythical” place). Wayo-Wayo is isolated enough to have developed an exotic culture, but is not entirely cut off from the outside world. We both gazed out at the sea, which seemed to be slowly bringing rain. Every so often a breaker would come rolling in. Following a silence of ten waves, Atile’i asked me another time, ‘Is the weather fair at sea today?’ ‘Very fair,’ I replied and for the first time I realised I could ask him back. ‘Is the weather fair on your sea today?’ ‘Yes it is, extremely fair,’ Atile’i replied. I don’t know why, but right at that moment we both began to cry. The trickling of water through the fissures in the subterranean rock was suddenly drowned out when the mountain made an immense but also somehow distant sound. Everyone fell silent. Then Jung-hsiang Li shouted. That wasn’t groundwater surging. Wasn’t loose rocks shifting or bedrock bursting, either. And it obviously wasn’t a vocal echo. It sounded more like when something bumps into a flawless glass vessel – from somewhere within the glass you hear a spider’s web begin to spread before the cracks appear. The sound vanished straight-away, and the only thing the people in the cave and control room could hear was the huff of each other’s breathing and the hiss of the radios. Chapter I. The Cave goes unexplained, the characters unidentified, until we revisit the same event in a flashback roughly 197 pages later. By that time most readers will have forgotten all about it (I did) or, worse, are unable to make the connection to the rest of the narrative. The shame is that just that storyline could have made a fascinating novel in its own right. But, as it is written, it becomes easily lost among all the other plot points which occur in the interceding pages: the mystery of Tom’s & Toto’s disappearance; side stories about Alice’s friend Dahu and her indigenous Pangcah neighbor Hafay; the fate of the Wayo Wayo girl Atile’i loves. There’s a lot to think about in terms of writing as well: Ming-Yi dabbles in symbolism (Toto collected bugs, the identifying feature of the man with compound eyes, the frequent appearance of moths throughout the book); nature is described – even by scientists – in shamanistic terms; there’s even a modernist plot twist inserted at the end. Dizzy yet? Ask five different readers and you could easily receive five different (and perfectly plausible) interpretations of what The Man with the Compound Eyes is about. By the end we discover that it’s Alice‘s world that holds most of the surprises, but the journey to get to that moment of discovery is long and meandering. Darryl Sterk’s fluid translation throws a net over these disparate ideas and events, gathering them together into a surprisingly readable whole. My criticism is entirely with the scope of the work – not the writing itself. And while a lot of things bothered me about this novel, more impressed me. 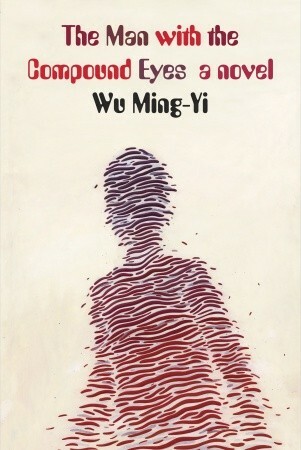 I hope more of Wu Ming-Yi’s work will make its way into English.